When Samantha received the devastating news that she had a cancer that was difficult to treat – in fact, the treatment itself might be fatal – she had to make some difficult choices about how to try and survive. Her story is full of pain, laughter and hope. Surrounded by her young children and supported by her husband, stepson, close family and friends, Samantha was able to overcome her illness through a mixture of conventional and unconventional treatments, some large leaps of faith and some very fortunate timing. She believes that with a combination of meditation and Eastern medicines she was able to put off further chemotherapies until Western science procured an answer. 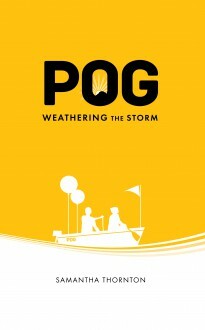 POG is a big thank-you letter to those who helped her on her journey.